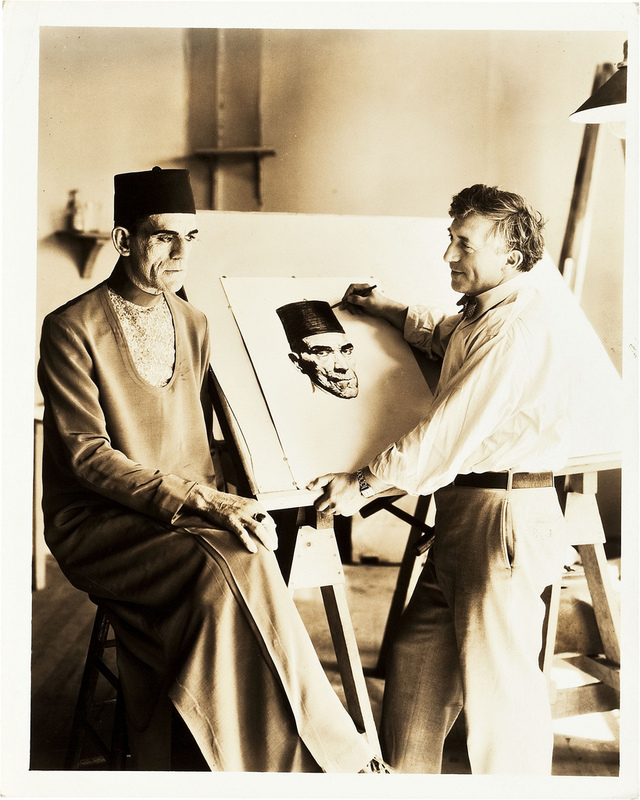 Boris Karloff sits for his portrait to be done on the set of "The Mummy". 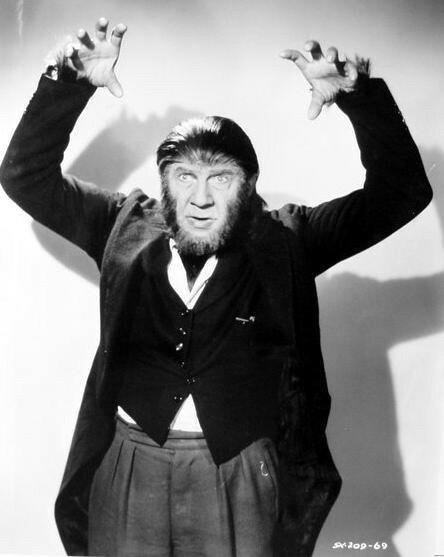 It's Bela Lugosi from "The Ape Man"! 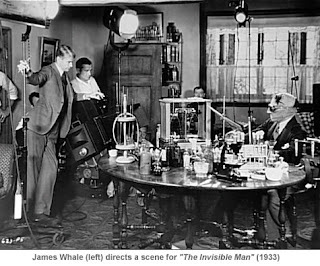 James Whale directs Claude Rains in "The Invisible Man". 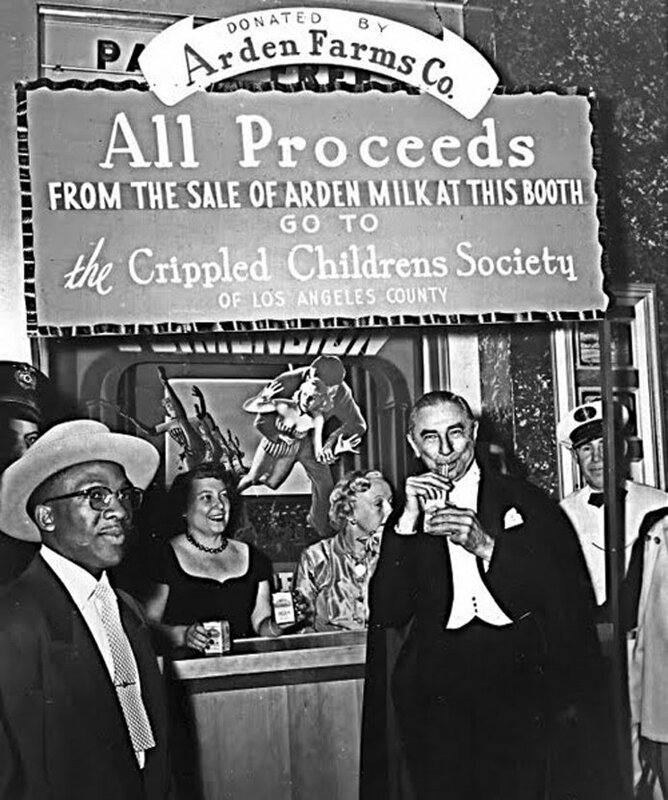 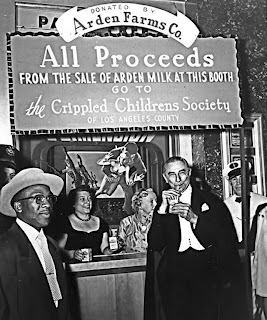 Bela Lugosi drinks some milk at the premiere of "House of Wax". 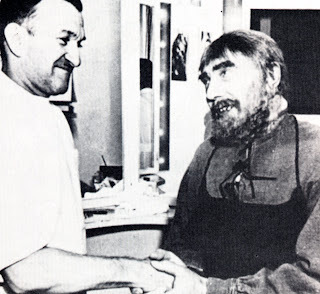 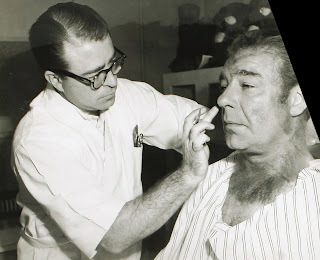 Bela Lugosi appreciates the work Jack Pierce has done to turn him into the broken necked Ygor for "Son of Frankenstein". 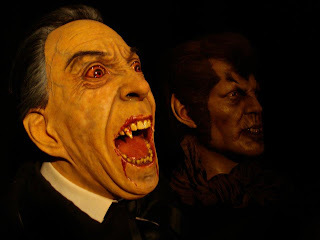 Boris resurrects Dracula in "House of Frankenstein". 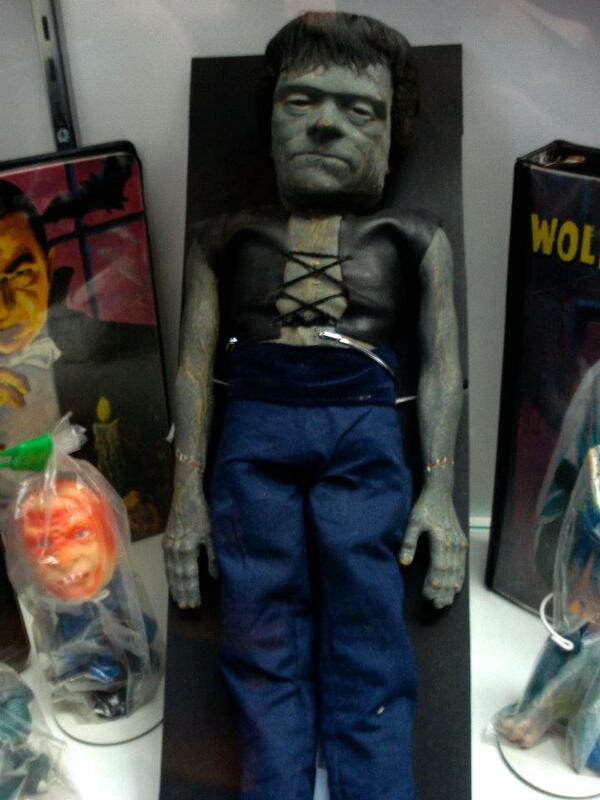 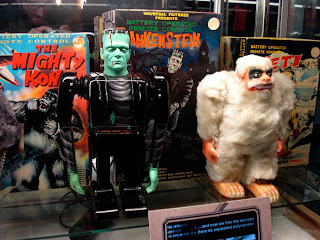 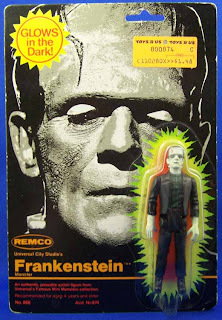 Here is the Frankenstein toy put out by Remco in the early 1980s. This is one of my favorite series of monster toys! 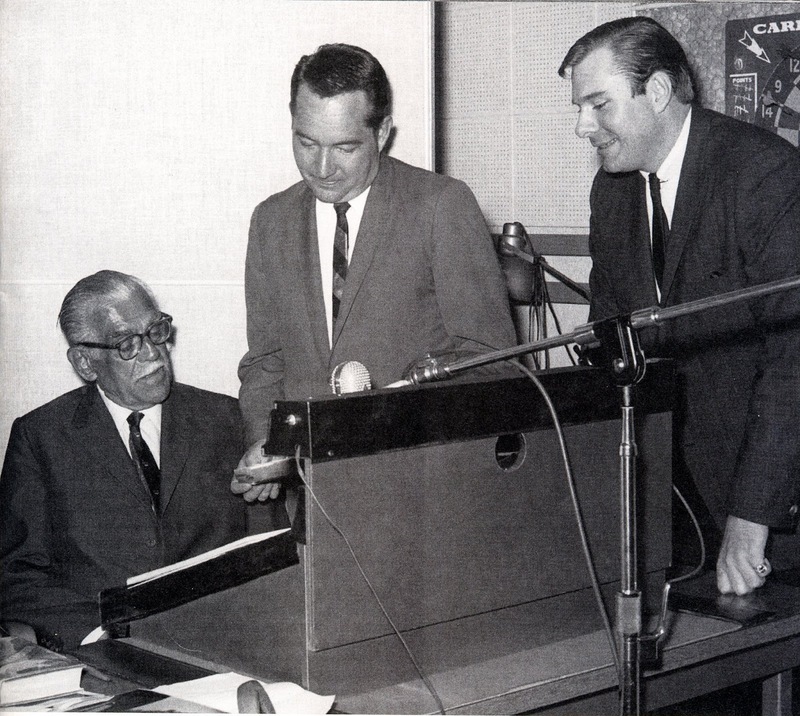 Milt Larsen and Verne Langdon direct Boris Karloff in the recording room for that wonderful record album "An Evening with Boris Karloff and His Friends". 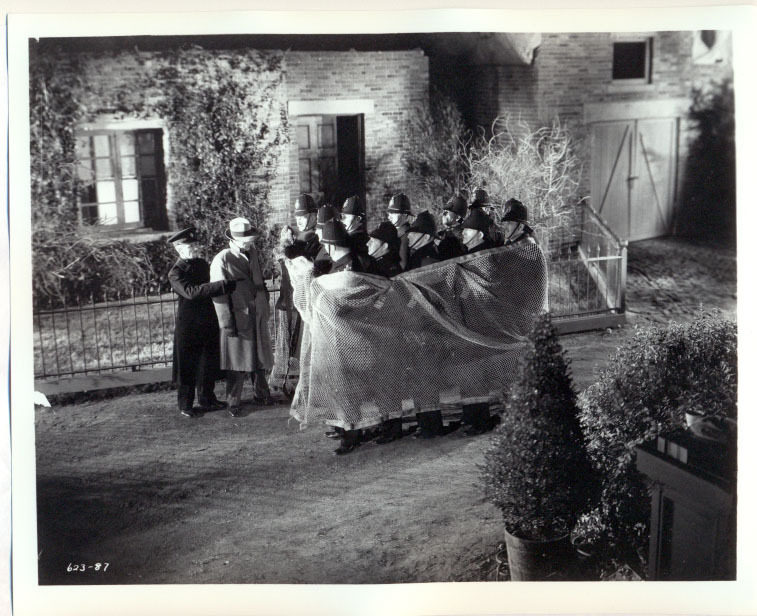 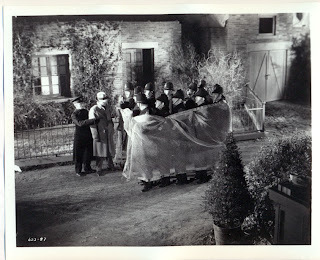 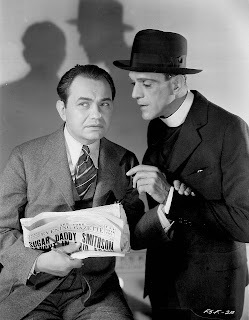 Kemp is protected from the Invisible One in "The Invisible Man". 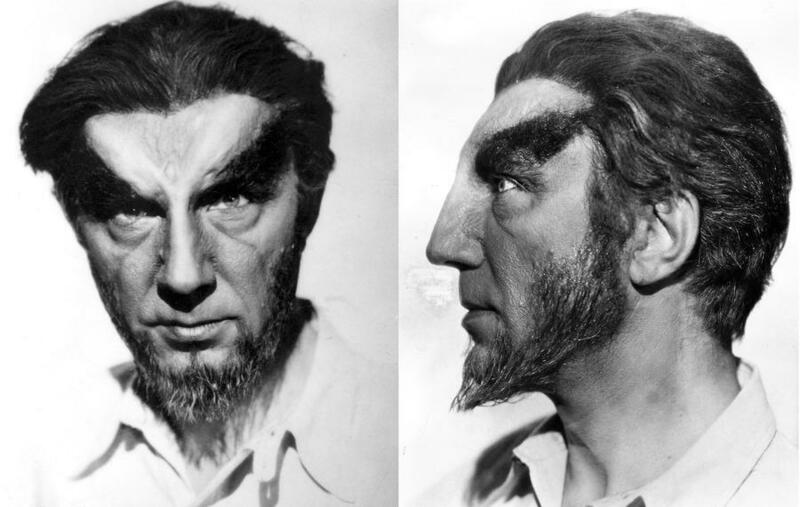 This is Bela Lugosi in a test make-up for his Sayer of the Law character in "Island of Lost Souls". I think I prefer this test make-up over the final result. Lon Chaney, Jr gets his Wolf Man make-up applied for "Abbott and Costello Meet Frankenstein". 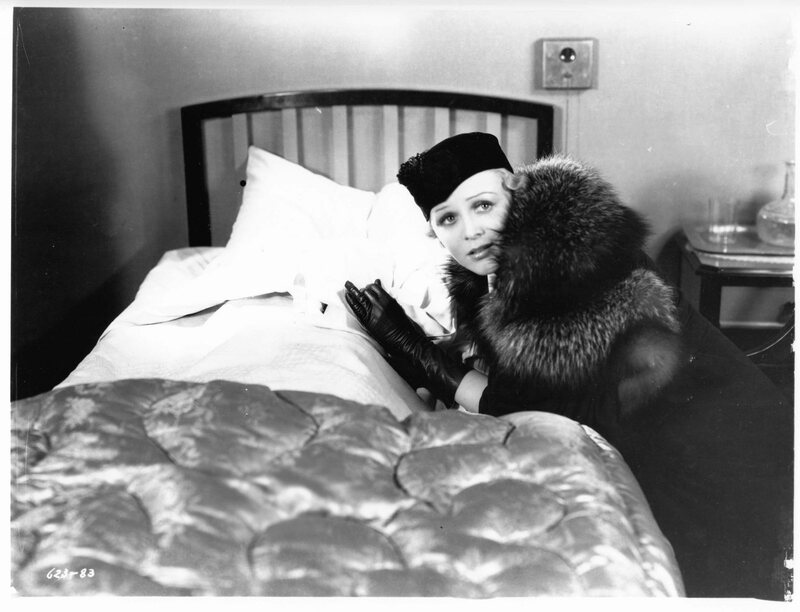 It's Louise Allbritton after she has meet Lon Chaney, Jr. in "Son of Dracula". 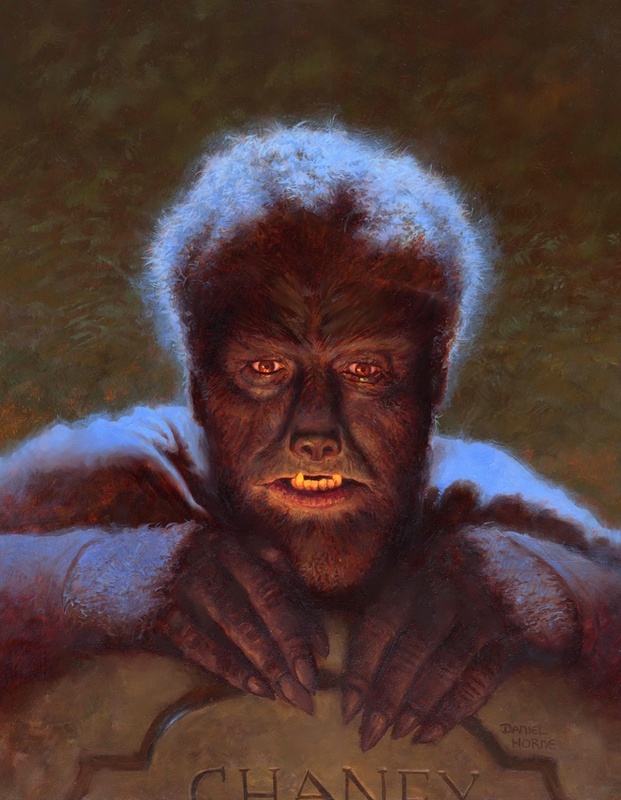 Daniel Horne is at it again with this wonderful portrait of the Wolf Man! It's Jack Griffin's last moments in "The Invisible Man". 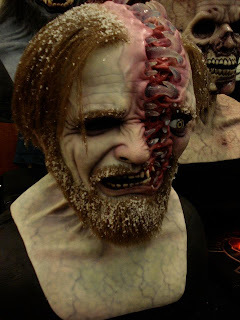 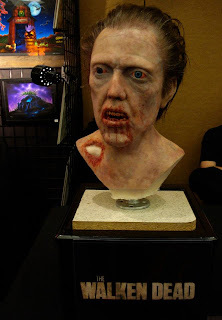 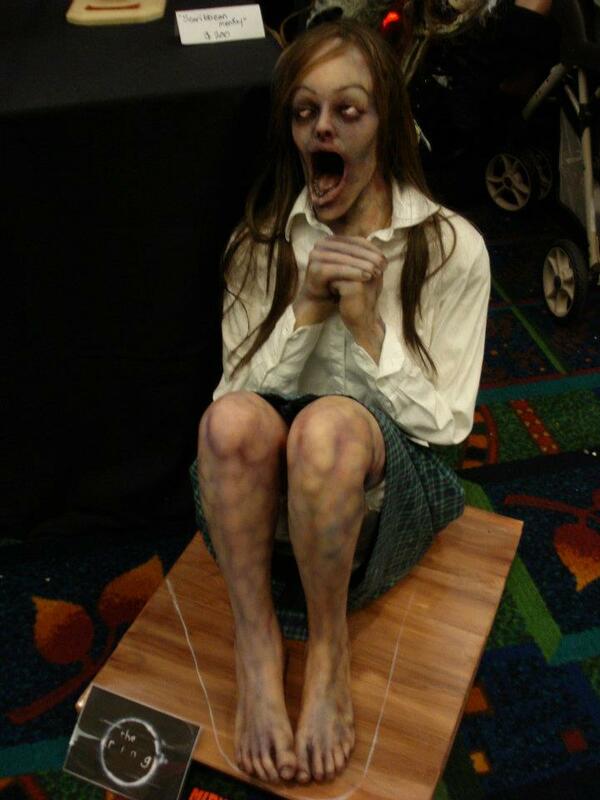 And we end Monsterpalooza week by taking a look at some more highlights of the showroom floor. 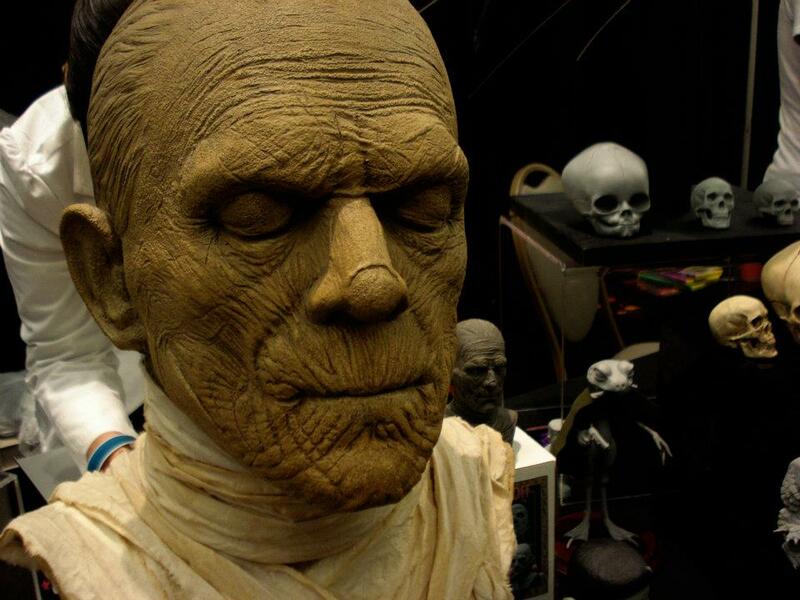 I can't wait till October for Son of Monsterpalooza and I hope to see some of you there! 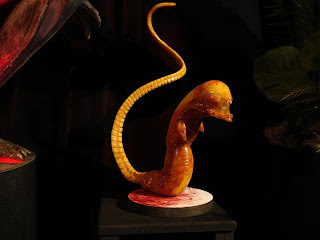 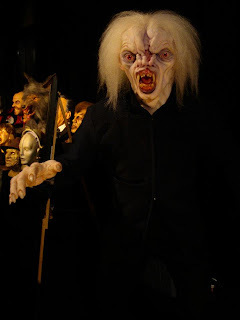 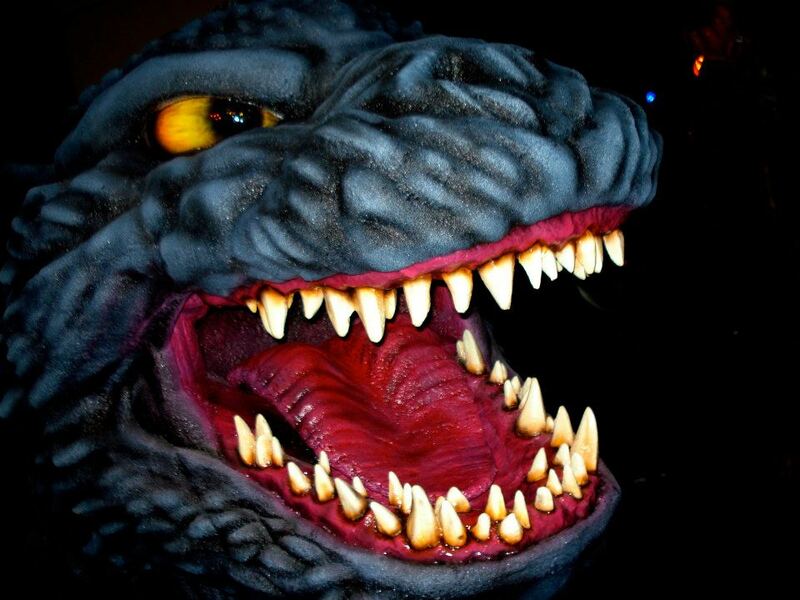 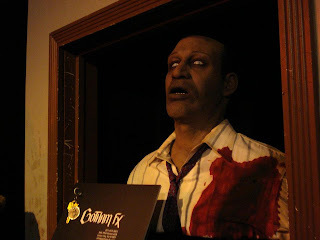 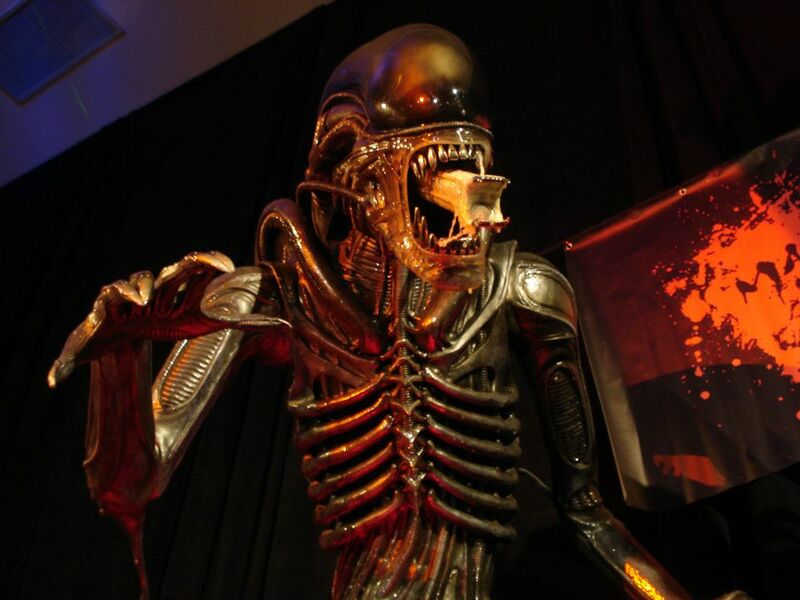 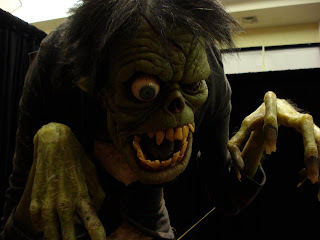 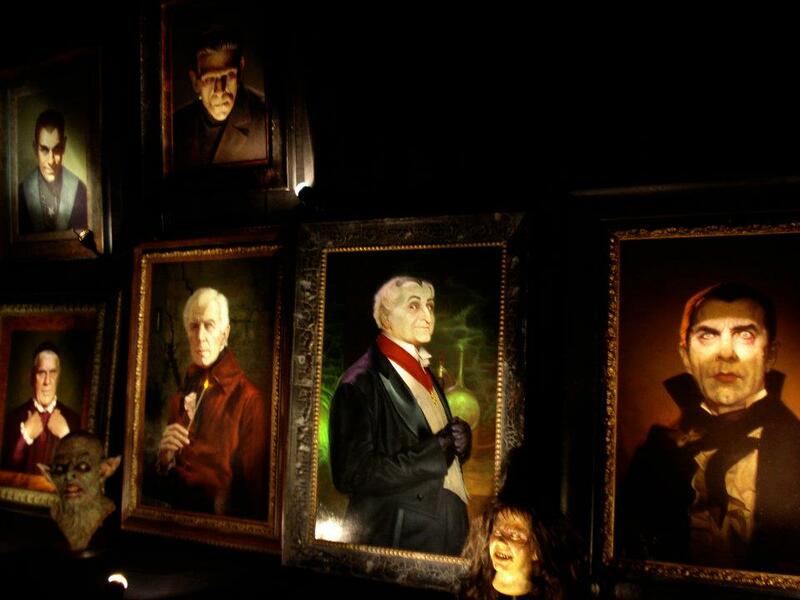 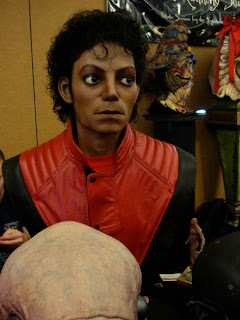 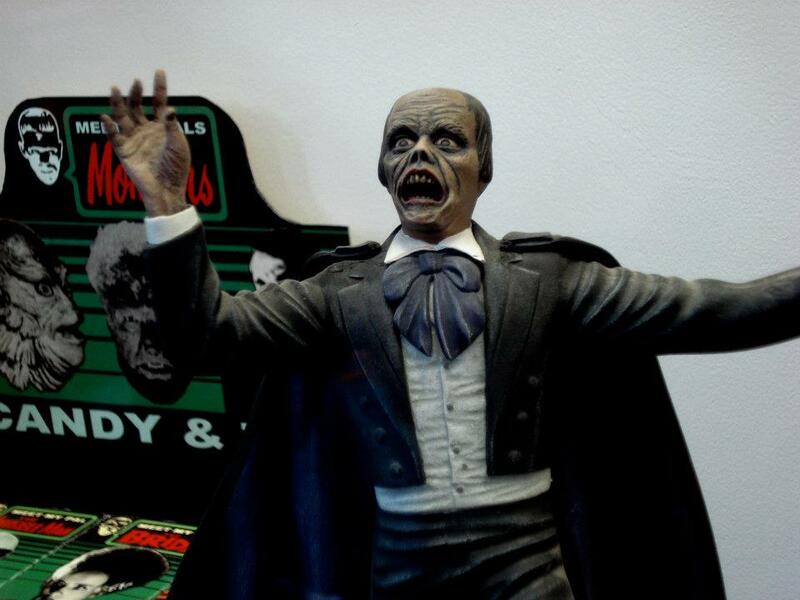 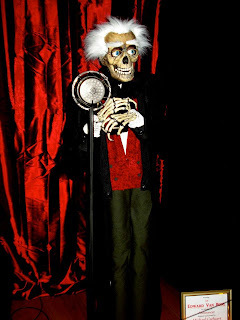 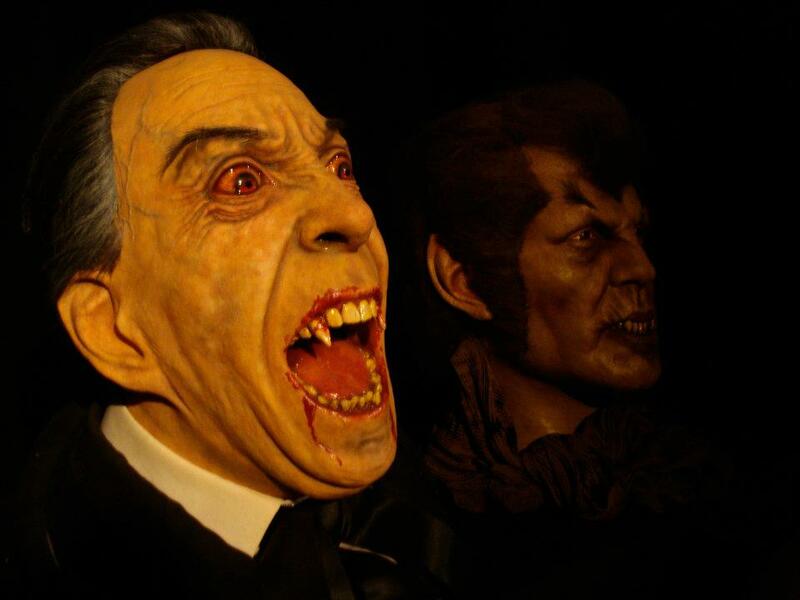 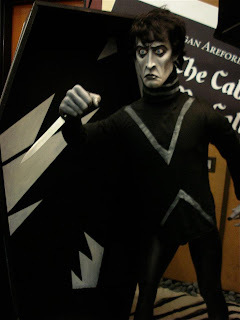 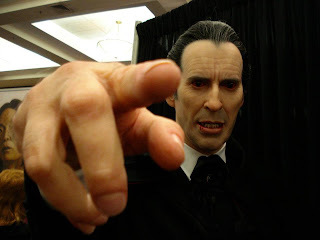 We continue our Monsterpalooza week with some highlights from the official Monsterpalooza Museum. 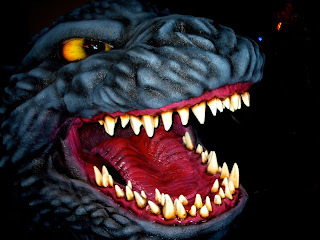 This is always the highlight of the event! 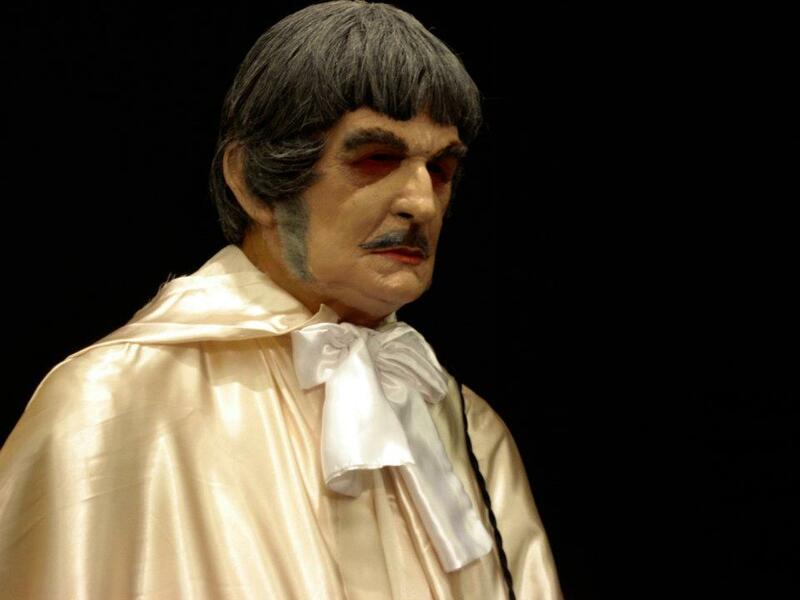 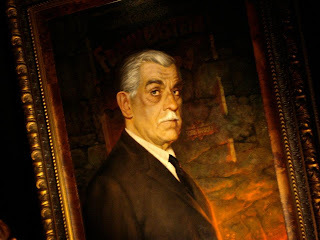 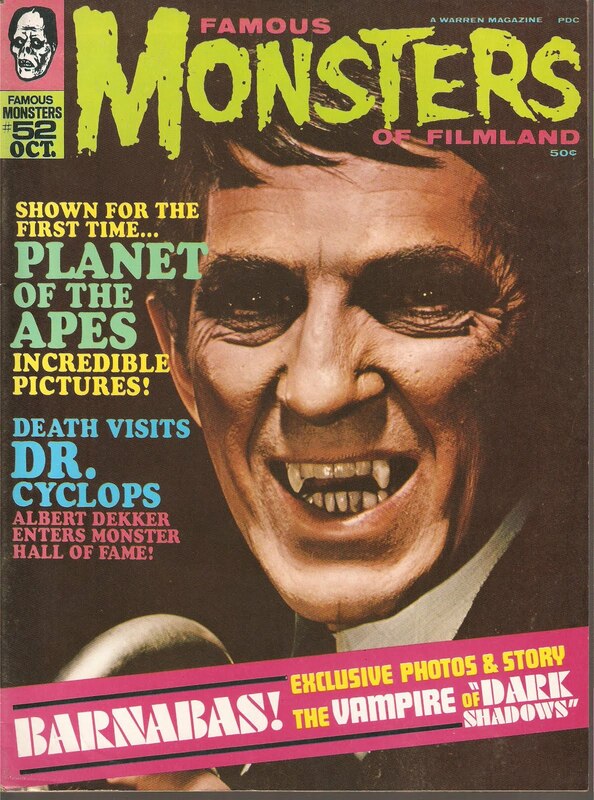 It has been reported that Jonathan Frid, star of "Dark Shadows" has passed away. 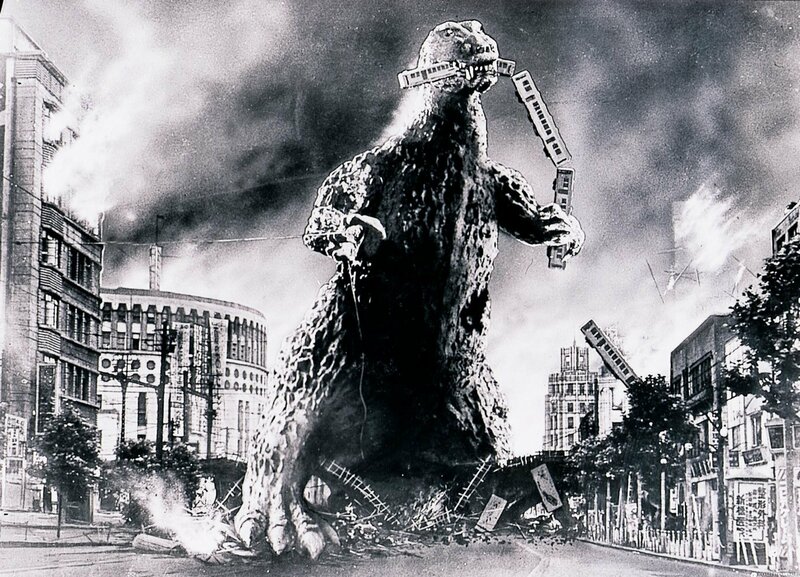 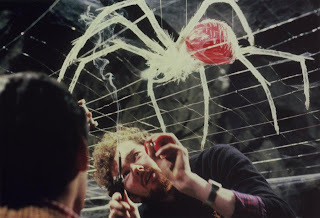 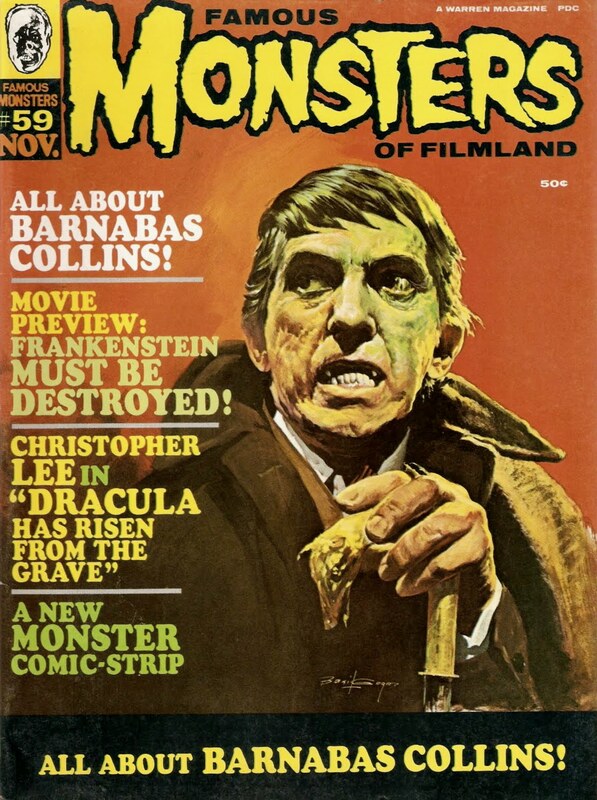 This is very sad news in our little horror community. 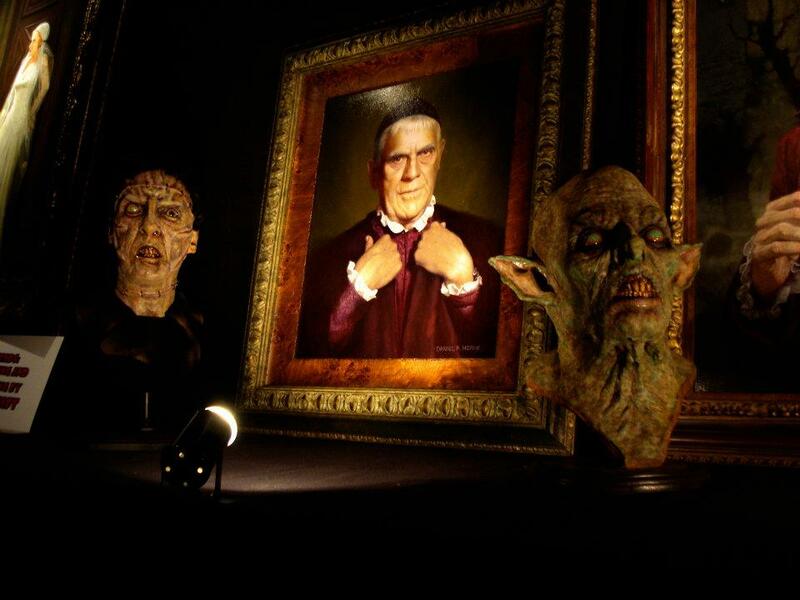 He will always be remembered. 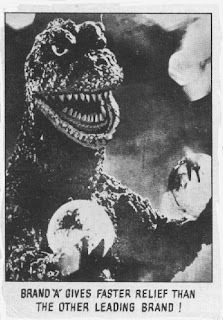 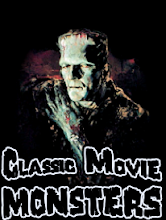 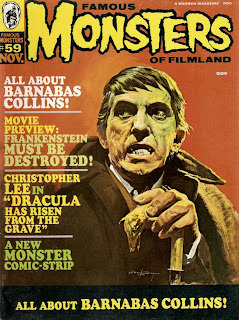 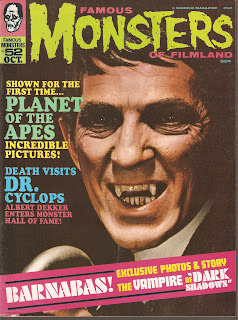 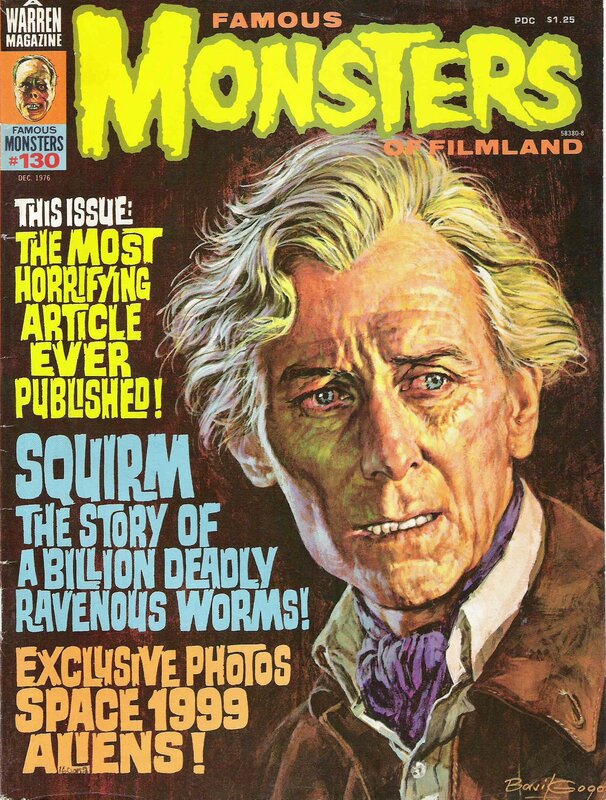 Below are a couple of issues of Famous Monsters on which Frid appeared. 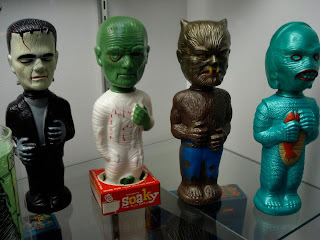 One of my favorite displays at this year's Monsterpalozza was presented by the Universal Monster Army. 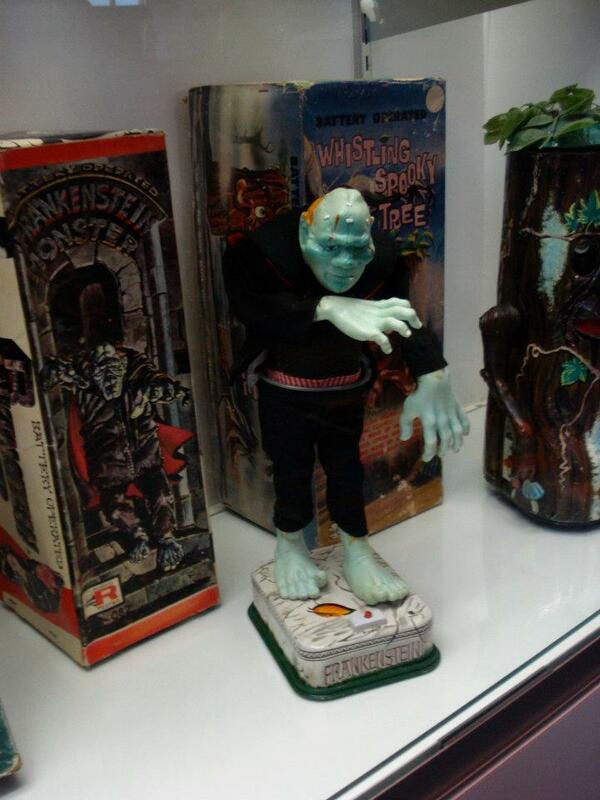 Their display was a replica of every Monster Kid's dream shop. 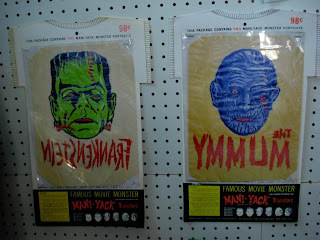 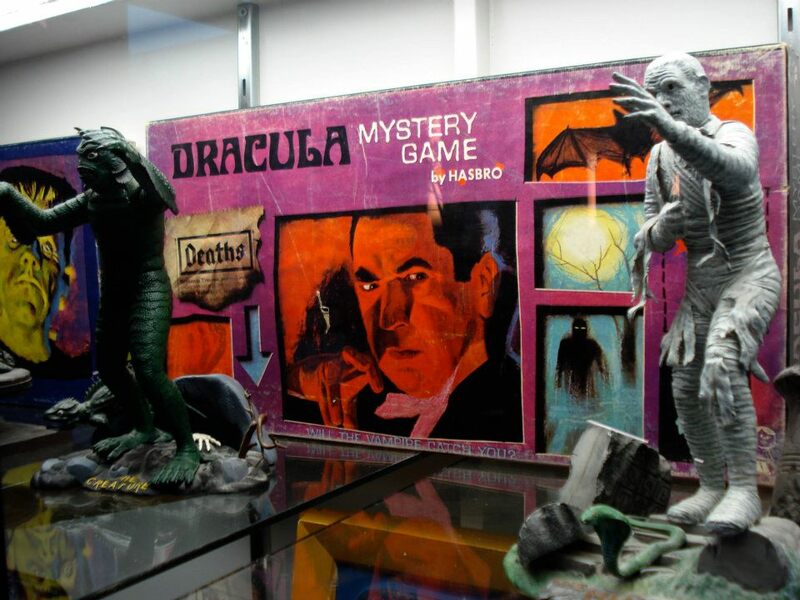 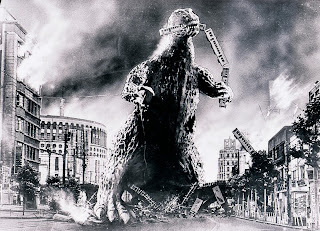 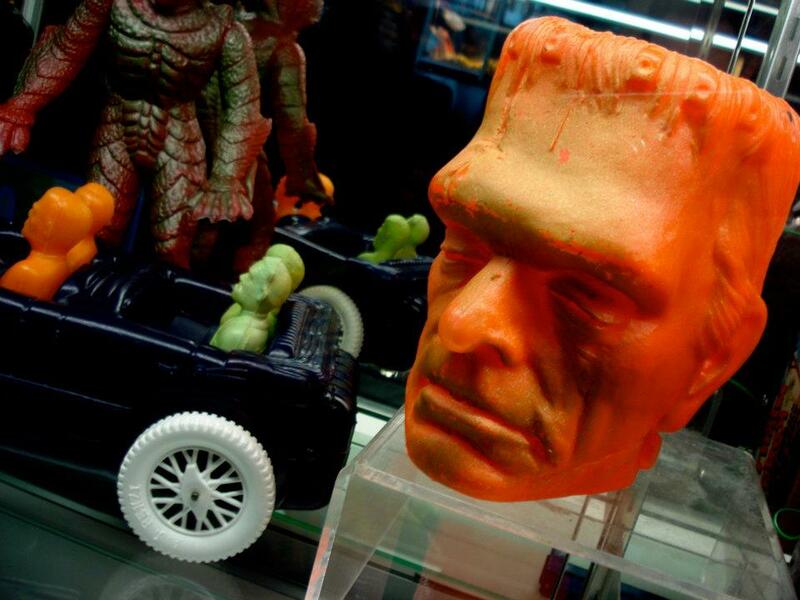 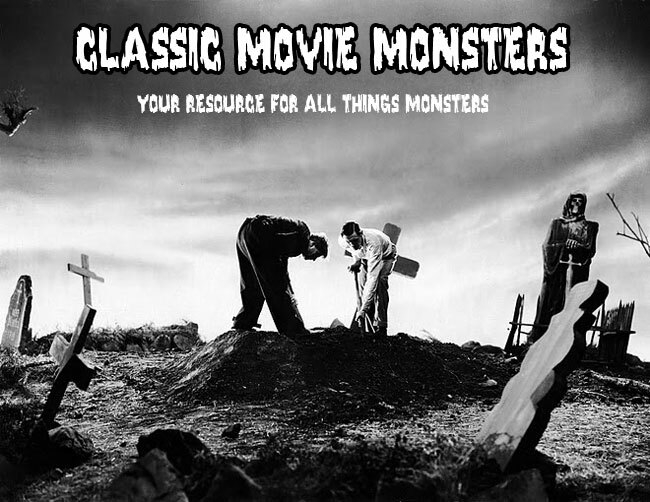 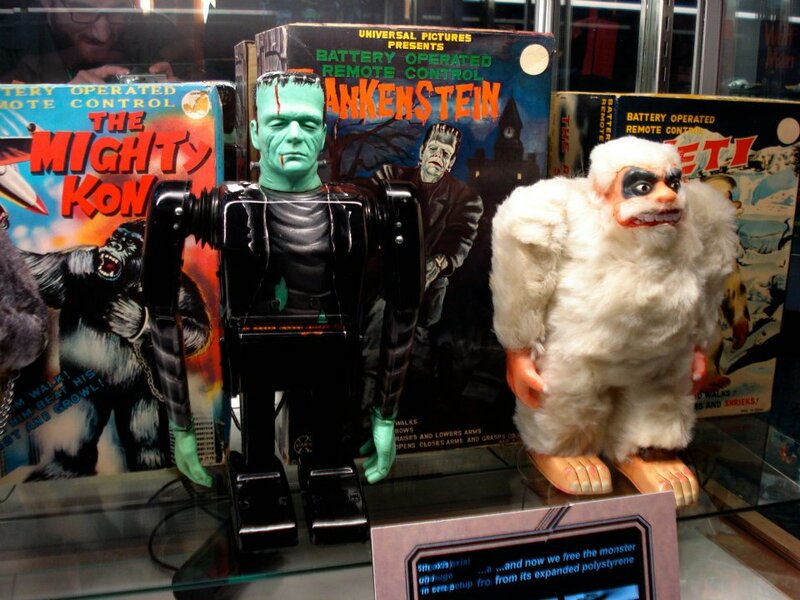 It was like going back in time to the 1960s and finding all your favorite Monster collectibles. 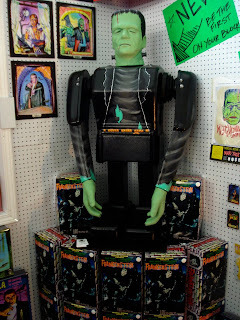 Then to add to the display, they included a huge replica of the Frankenstein Walker! 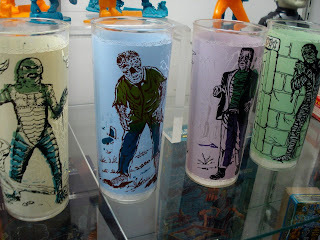 Some neat stuff! It's been a long time since I've posted about our Japanese friend. 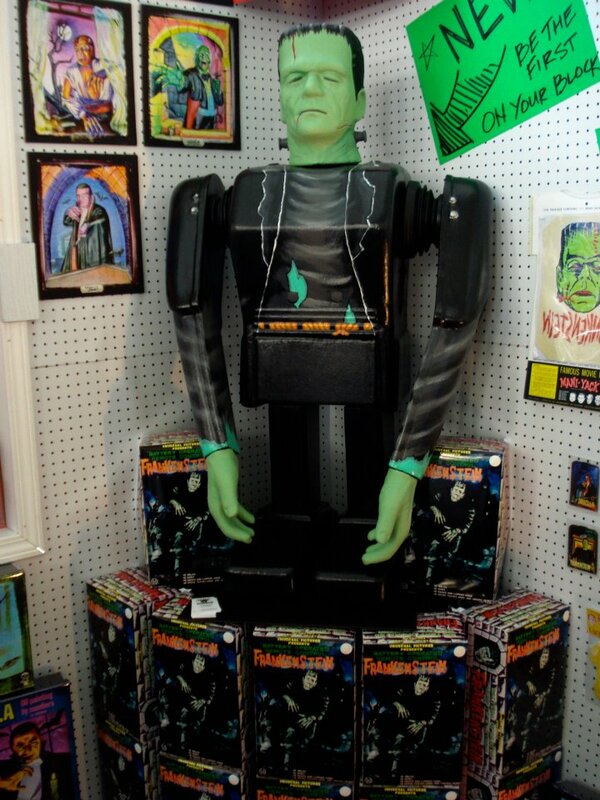 Here he is in all his glory!